Around 34 years ago, a handful of young scientists whose love of marine turtles was equalled only by their specialist knowledge of them, organised the first American workshop in Waverly, Georgia, dedicated to “the protection and study of sea turtles”: About 70 people took part. The initiative proved such a success that it became established, and since then has been organised on an annual basis, hosted by a different country and on a different continent each time – but always one that enjoys a relationship with marine turtles. Gradually the number of delegates annually has reached 1,000 and attendance figures seem still to be rising! In 2002 the workshop morphed into an Association and was renamed the International Sea Turtle Symposium (ISTS). Its aim is to present and share the most recent research findings, studies, protection initiatives, environmental education programmes, and new techniques carried out or devised by scientific researchers, NGOs, students, educators and others. Each Symposium now features two auctions that are organised by teams of many volunteers. 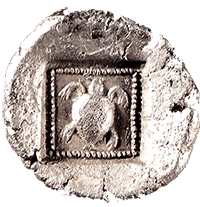 All the items offered for sale are donated by the delegates themselves and almost all include a turtle – often portrayed in a humorous way. The proceeds, which can amount to several thousand dollars, are used to fund the attendance of students at the following Symposium, giving young people an opportunity of presenting their work and competing for prizes. On the final evening there is a party for all ages that usually carries on into the small hours! Another feature of the Symposium is the “vendor’s tables” at which NGOs, craftspeople, publishers, manufacturers of technical equipment (like satellite tracking devices) and more, present their wares – all turtle-related, of course. MEDASSET usually attends the ISTS every 2-3 years. The associated costs, (fees, travel, accommodation, preparation, etc. ), make it effectively impossible for us to take part more frequently. Last April we travelled to New Orleans for the 34th Annual Symposium – a journey of 16 hours – and yet we felt it had been worth the effort as the team returned brimming with new ideas and with renewed commitment, enthusiasm and energy… and an even greater passion for the work it does. In April 2015, the 5th Mediterranean Conference will be held in combination with the 35th International Sea Turtle Symposium (ISTS), in Dalaman, Turkey. Holding these meetings back to back will allow participants to interact with the greatest possible number of colleagues while reducing travel time and cost. The Conference is held every 3-4 years in a different Mediterranean country, with support from the Council of Europe, the Bern Convention and RAC/SPA under UNEP’s Mediterranean Action Plan (MAP). This year the Conference is aiming to develop a research agenda to fill major gaps in our knowledge about numbers of turtles and where they go while at sea. Its final objective is to launch a major monitoring programme covering all the most important rookeries and foraging grounds of sea turtles in the Mediterranean.